This year it was time again. One country invited to the FIFA World Cup and relied once again on Gotschlich's security products. 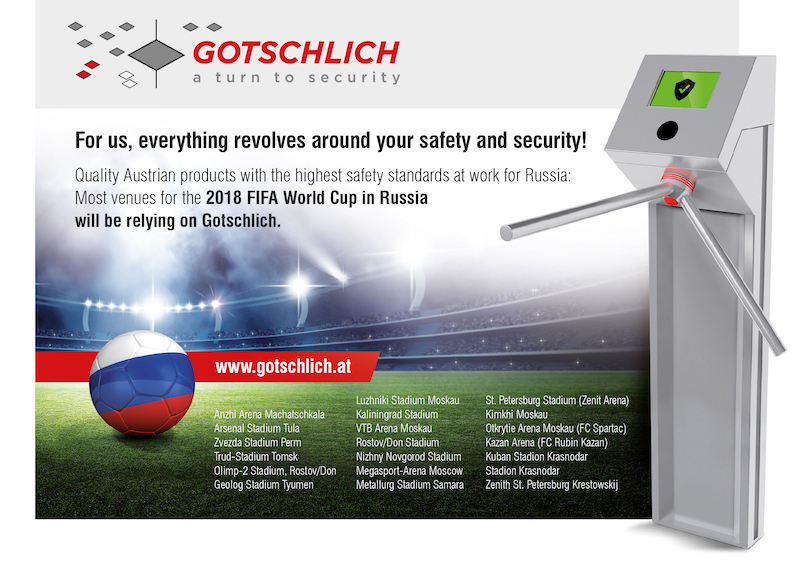 Gotschlich's products provided access security in most Russian venues this year. With outstanding success.